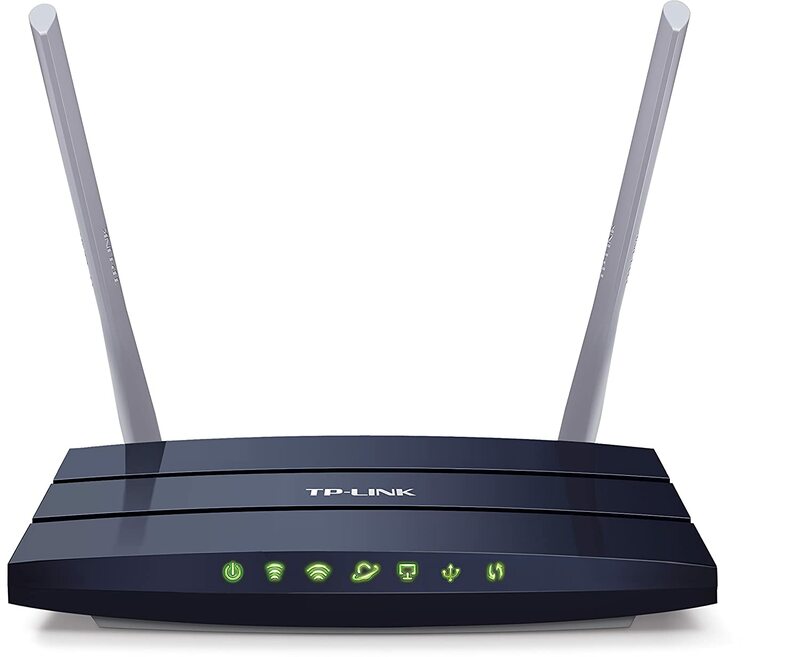 Wireless routers are everywhere these days because it is very easy to connect your devices using the Wi-Fi network and to internet. As technology developed, more and more wireless devices that use streaming and internet service came into play, which rocketed the need for a super fast and longer range router. Thus many network standards was introduced by IEEE like the (802.11a, 802.11b, 802.11g, 802.11n and the latest 802.11ac, more on this later) and the speed, range and bandwidth considerably increased for the past few years. 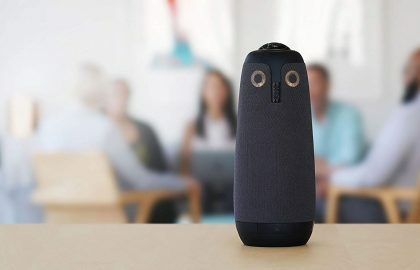 Unlike the past, now you can share media, stream music and video, connect all devices in your home wirelessly, play multiplayer games using a good internet connection and wireless router. Smart homes, which are becoming very popular, also play an important role in the increase in demand of wireless routers. As the demand increased, number of products in the market also increased considerably. Due to this high competition, every company added more features to their routers to beat the competition which made choosing the best wireless router very tedious task. From the thousands of products out there, it is difficult to choose the best but the router you need depends on your needs. Through this article, we try to help you make the decision. I will try to include all the necessary facts and key features to look for when buying a wireless router in a brief and reader-friendly manner. If anything is left out, please feel free to add in the comment box. Obviously, speed should be the first priority and it depends on many factors. First of all, your internet connection, if you have a slow internet connection (<100Mbps), you will not get a high speed internet even if your router is a superfast expensive monster. Secondly, your router’s network standard, remember the 802.11 classification? This table will give you a brief idea. So if you want high speed internet, the 802.11ac router is what you are looking for. Next is the range coupled with interference in your home. Range also depends on many factors which we will discuss in a minute. Now it’s time for determining the router’s port speed which is another factor that helps speed. There are two types of Ethernet ports, Fast Ethernet and Gigabit Ethernet. Fast Ethernet ports can reach up to a speed of 100 Mbps while the Gigabit Ethernet can reach up to 1000Mbps. That’s 10 times faster! So Gigabit Ethernet is a must unless you have the above mentioned slow internet connection (<100Mbps). Another feature that’s becoming important now is the number of bands. According to bands, routers can be classified into 3. Single band, dual band and tri band. While single band operates on one frequency only i.e the 2.4 GHz, dual band operates on two bands, the 2.4 and 5 GHz increasing speed and range. More bands means less interference from other devices and faster speeds. The 2.4 Ghz band is good for general internet surfing but if you need HD streaming and multiplayer gaming, you should look for dual band or tri band. Tri band uses one 2.4 Ghz and 2 5 Ghz bands for ultra fast user experience. If you have home automation system which contains a number of devices, all connected wirelessly, you may want to look into Tri band high speed routers. Range of a router is as important as the speed. But this thing, you cannot believe the advertisement or what is written on the package because it is ideal case. But reality is that, you may have many obstacles that hinder the range of router in your home. But you can always use a range extender to seamlessly connect to the router anywhere from home. The range depends on number of radios, antennas, frequencies it broadcast on and interference. Wireless AC routers have the farthest range and next to that come Wireless N routers. Almost all routers support either USB 2.0 or USB 3.0 connectivity. 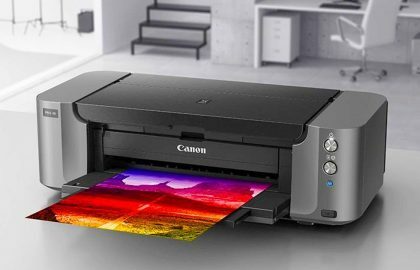 This can be used to connect your printers or storage media although printer sharing is still pretty basic and needs USB 2.0 only. But in the case of storage, that’s quite a different story. Top end routers supports high speed file transfer and have built-in media serves and even Bittorrent downloader. Buying a top end router with these features can centralize your storage ditching old NAS systems. Most routers send out circle shaped signals throughout the area in the hope that it would connect some device. If your device is in that signal limit you can access Wi-Fi with normal speed but it gets lesser according to distance. But with the new Beam forming technology, the router finds any device in the range limit and send focused signals to the exact location making the signal stronger there, rather than sending bandwidth in an omnidirectional pattern. This applies to every connected device. QoS recognizes the various types of traffic moving over your network and prioritizes it accordingly. Sometimes when you are downloading torrent, you can notice lag in streaming and online games. With QoS enabled device, this won’t happen. You can set priority to each application that is using the bandwidth. Routers with Cloud Services let you access and manage your home network from anywhere. The free mobile app makes it easy to see (and block!) devices connected to your network, view web browsing history and more – all from your Smartphone or tablet. Let it be any product or service, price must be taken into account. For products, post sale service depends on the company alone. Always buy electronics from a trusted brand. Most of them provide up to 5 years warranty for routers. Look for the best combination of price, warranty, quality and features. The cost of the wireless routers has decreased so much in the past few years that I sometimes think that it will come at bargain prices in the future. These cheap routers are best in quality and features set so that you don’t have to pay much to get a decent uninterrupted internet connection in your home or office. This router, the Archer C50, is a fairly new AC router from TP-LINK which has already captured the market, the main selling point being the price itself. The TP-LINK Archer C50 AC1200 Wireless Dual Band Router follows the designs of other TP-LINK C AND D-Series products with its sculpted, gently domed top and it has been the same since the past few years. This router has the usual hardware: the router itself, a short RJ45 cable and AC adapter. The right side of the screen has a USB port and three buttons: a dual-function WPS / reset button, a Wireless On / off button and an on / off button. The set up is simple and will be over in 10 minutes. The URL and the default passwords are indicated both in the Quick Start Guide and on a label on the bottom of the router. The rest of the web interface is very similar to other routers, with menus for basic / advanced configuration options and router / network system information. The Archer C50 supports six current 802.11 standards. In addition to the “Master” Wireless On / off button on the router, you can use the router to run any or all of the 2,4, 5 GHz and a guest network access points. Simultaneous Dual-band offers you the flexibility of two dedicated networks – with several times the bandwidth for your needs. With 300 Mbps over the 2.4 GHz band and 867Mbps over the 5GHz band, the Archer C50 is the superior choice for a seamless HD streaming, online gaming and other bandwidth-hungry tasks. Simple tasks such as sending e-mails or surf the web can be handled by the 2.4 GHz band, while the bandwidth-intensive tasks such as online gaming or streaming HD video can be processed by the 5 GHz band – all at the same time. With 2 external antennas in combination with a high quality antenna technology, you can high speeds over larger distances. This gives you optimal wireless coverage and reliability of anywhere in your house or office. 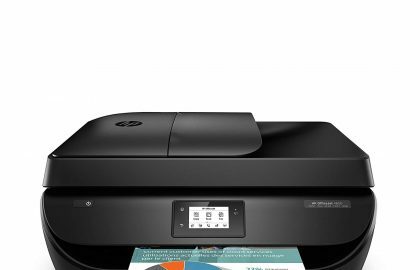 Easily share a printer locally and files and media with networked devices or remotely via FTP Server. The main features are as following. Guest Network Access provides secure Wi-Fi access for guests to your home or office network. Parental Controls allows parents or administrators to set limited access policy for children or the staff. Archer C50 supports IPv6, the next generation of Internet Protocol that help you to future-proof your network. TP-LINK Tether app offers the easiest way to access and manage your router with your iOS and Android devices. If you are looking for an AC-router that has a blazing performance over 11ac, this one is not the right choice but if you are not concerned with ultra-high speed, but a decent speed with essential features without spending much, the C7 is not a bad choice. The design looks cheap but it is sturdy. The antennas are the sturdiest among routers I have seen. The device has the typical LEDS that can be found on most router’s front panel. Also at the rear there are power switch, a button to turn on the wireless radio, antenna connections and a WPS / reset button. 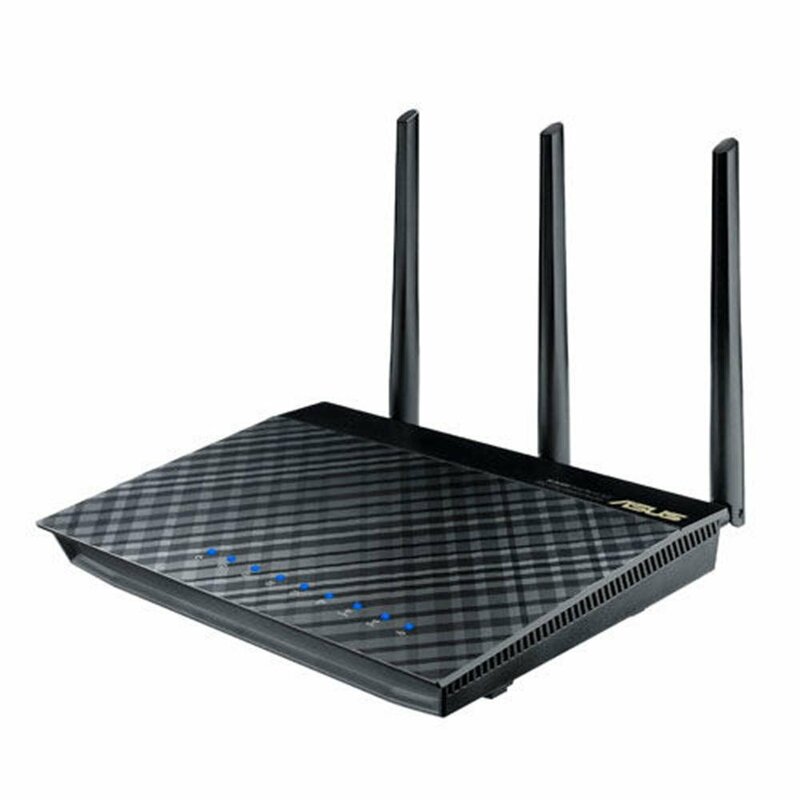 This dual-band router supports up to a theoretical 450 Mbps on the 2.4 GHz band and up to 1300 Mbps on the 5 GHz. There are now 11 ac routers on the market that support up to 1700 Mbps on 5 GHz but these premium routers have double the price of the C7. The C7 comes with a resource mini disk and a quick-connection guide. The guide has everything clearly written to connect the modem and the router which helps you to do the job in minutes. The interface guides you through everything you need to do to the router to get up and running so that the web-based method should not be a problem for most. With most 11ac dual band routers, you can set to use the 2.4 GHz and 5 GHz bands only in 802.11n but it is not possible with C7. Wireless configuration options are limited to 802.11b/g mixed mode and 11b/g/n-mode on 2.4 Ghz and 11a/n mixed and 11a/n/ac-modes on 5GHz. C7’s NAS and print services are adequate but not as rich as what Netgear offers with its ReadyShare and ReadyPrint services routers like the Nighthawk series. The C7 is a router that delivers average performance overall but good for its price and certainly not above the top-end 11ac routers I tested. The TP-Link Archer C7 AC1750 is a good three-out-of-five-star router: it is not a choice for those looking for the top 11ac router but it is affordable and certainly a good performing hardware. The Netgear R6400 looks sharp and comes with full of features, but suffer from mediocre performance and a frustrating UI. 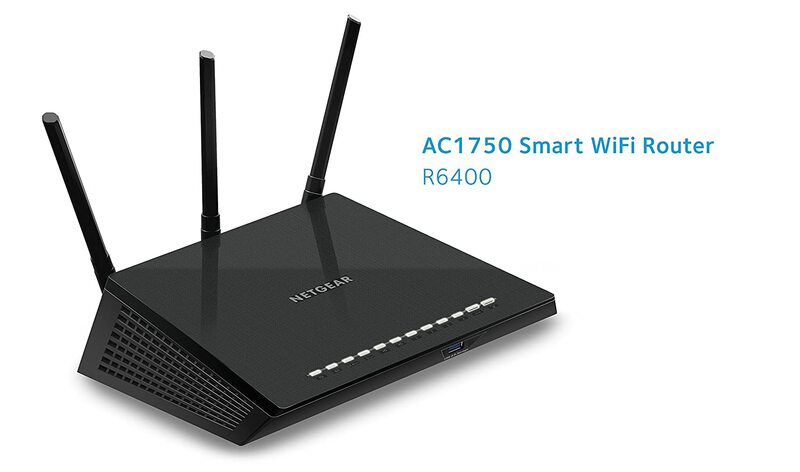 The R6400 is a mid-range router that supports up to 450 Mbps on the 2.4 GHz frequency band and 1300Mbps on the 5 GHz band. This one is not a part of the NightHawk series but simply replaces the R6300V2, at the same price and with better performance. 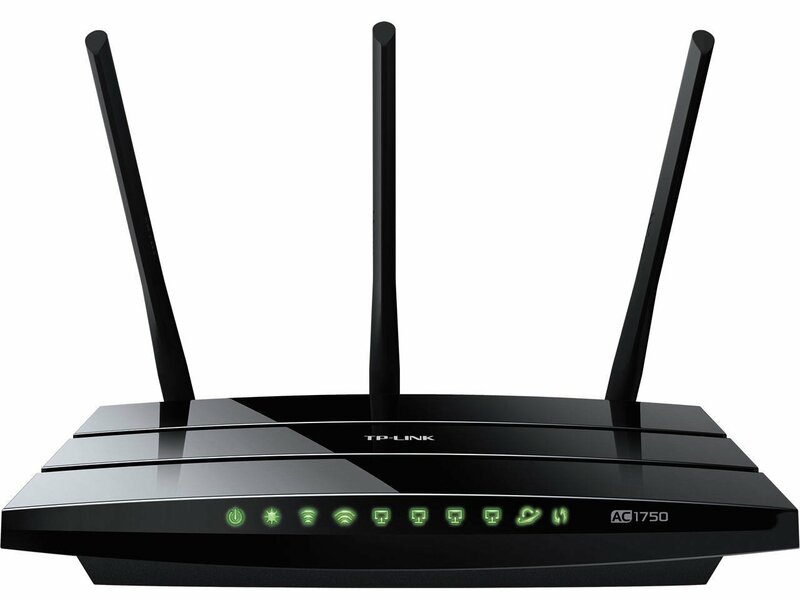 Netgear R6300v2 uses 6 internal antennas but the R6400 router uses three external antennas and beamforming to improve the range, to spread coverage and reduce dead spots for large houses. The antennas on the R6400 are longer than the R7000 antennas and they are also adjustable but non-removable to keep the price low. Speaking of connections, there are two USB ports – A USB 3.0 and USB 2.0 port and 5 Gigabit Ethernet ports. On the front of the router there is the Wi-Fi and WPS buttons that can be switched on and off and you have the USB 3.0 port located directly below the light indicators. The R6400 comes with the same Broadcom BCM4708 dual core 800MHz processor that was used on the R6300V2 and it is still using 256 MB RAM and 128 MB flash. The R6400 uses the same housing as the R7000, remains relatively cool thanks to the ventilation holes on the back and sides. 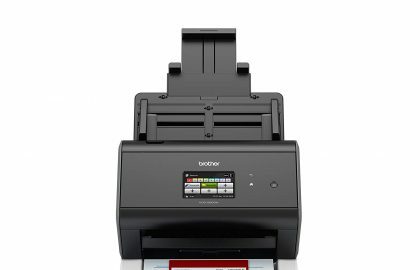 The R6400 measures 7.5 x 7.79 x 2.55 inches and weighs approximately 1.2lbs. The router is large, but it can be mounted on the wall if you do not have space. Netgear Genie app allows users to connect, check, and control their home network from PC, Mac, tablet or smartphone. But the genie app does not work when connected to the guest network and does not work with wireless extender or repeater. It is a useful app if you want to monitor and carry out maintenance and troubleshooting problems with the router fast and easy. Since the R6300V2 and R6400 are basically the same router, the performance I recorded was very similar. That being said, the R6400 is not the fastest 802.11ac router out there, but it provides a good 5GHz speeds and NAS / storage performance. The RT-AC66U 802.11ac Dual-band Wireless-AC1750 Gigabit Router is the first wireless router from Asus on the new 802.11ac standard. The router also has very good range and the USB ports offer more than just the support for external storage and printers. If you are looking for a top-notch 802.11ac-router, this is not the one but for a cheap router with best in class performance, the RT-AC66U makes an excellent choice. The RT-AC66U looks exactly the same as the RT-N66U with a slim housing that is more like a jewelry box than a network device, but is still clearly a router due to the detachable external antennas sticking up in back. 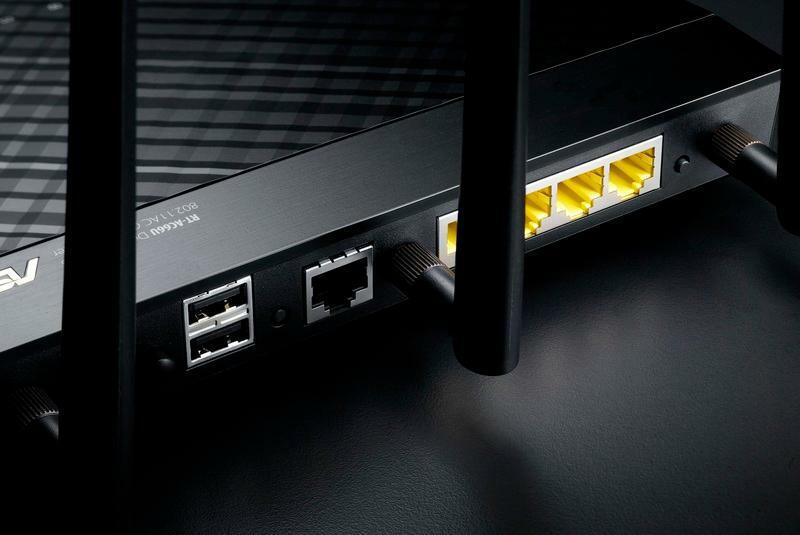 The router looks good and rugged, suggesting that it is a hard-core network device. In addition to working as a router, the RT-AC6 6AU be used as an access point or a media bridge, when idle, the WAN port can also be used as a different LAN port. 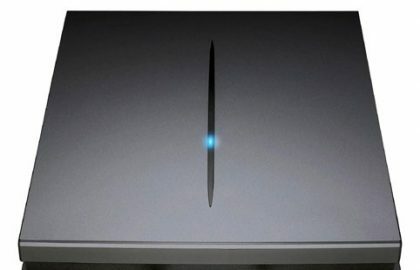 On the front of the router, an array of LEDs that show the status of the ports on the back, the connection to the internet, the USB ports, and wireless networks are located. The router comes with a software installation CD that runs you through every step, making the setup of the router quite easy for home users. Although it is not the most user friendly router, if you have an idea about computers, you are likely to get it up and running in just about 10 minutes. Whatever type of Wi-Fi clients you have at home, the RT-AC66u support them all, and if you have 802.11ac signal, the router will support them, too. In addition to the two main WiFi networks, one for each band, it also offers up to six guests Wi-Fi networks, three for each band. In order to set up these networks, you must use the router web-interface, which is well organized, responsive, and reasonably simple to use. 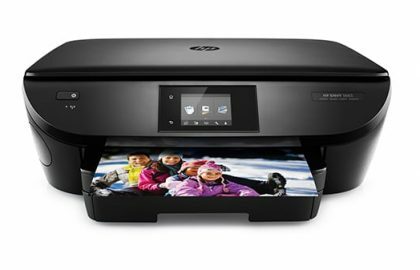 You can use an external USB storage devices or printers to connect to the Gigabit ports and turn the router in to a storage device or print server, both of which worked well and was easy to set up. Using a feature called AiDisk, these ports can also be used to host storage over the Internet, coupled with a cellular USB dongle so the router can work as a mobile hot spot, and you can also use the router to manage downloads by itself when an external hard drive is connected. In general, the RT-AC6 6U offers many useful features which you would want form a high-end router and those features works very well too. The RT-AC66U is also good in terms of speed and coverage; you will get around 170Mbps from 100 feet away which is impressive for such a cheap router. The router offers decent network storage performance too with 135Mbps read speed and 78Mbps write speed over Gigabit connection. With great performance and lots of useful features, the Asus RT-AC66U, is one of the best budget friendly routers out there. The D-Link DIR- 880L is the latest version of high-end AC1900 routers, and it would be the best D-Link has to offer for home users. In my testing, the dir- 880L turned out to be a great router with an excellent range, fast Wi-Fi data speeds and stable signal. The router has three detachable antennas that go on its back, which kind of blocks the access to the ports located on the back which can be annoying sometimes. The router comes with four Gigabit LAN port and a Gigabit WAN port. There is also the power port, a reset button and an On/Off button and a USB 2.0 port. At the front, the router has a range of LED lights that notifies the status of the ports as well as those of the internet and to show Wi-Fi connections. The DIR- 880L comes with a new and much more polished interface than the previous D-Link routers. The new and polished web interface is also a learning curve for those who are used to working with previous routers of D-Link. In place of the granular menus, the DIR 880L now has four category buttons on top, including housing, settings, properties and management. If you are accustomed to the old interface and you know exactly where things are, the new one a little difficult to play with. On the positive side, the new interface makes certain tasks much easier. The visual network map, for example, is a great way to view your network, and allows you to click on a connected client – each has its own type of icon – to do specific tasks on that client. You can also watch the status of the router, as well as manage a handful of the settings using a browser or the mydlink Lite mobile app. The DIR- 880L is a real dual-band 802.11ac router, offering up to 1,300Mbps on the 5 GHz frequency band and to 600 Mbps on the 2.4Ghz frequency band, simultaneously. For this reason it is qualified as an AC1900 router. The highest speed of the router can be achieved with the clients that support same WiFi standard, but they will work with all existing Wi-Fi clients on the market regardless of their wifi standard. USB ports of the DIR- 880L can be used with any external hard drives formatted in FAT32 or NTFS both. Overall, as a wi-fi router, the dir- 880L was not always the fastest but it was easily one of the fastest I have seen. Through wired Gigabit connection, you can get up to 44 Mbps reading and 27 Mbps writing speed. This means if casual data sharing and light media streaming are what you need in the home, you can just get the DIR-880L and a large external hard drive instead of a dedicated NAS server. 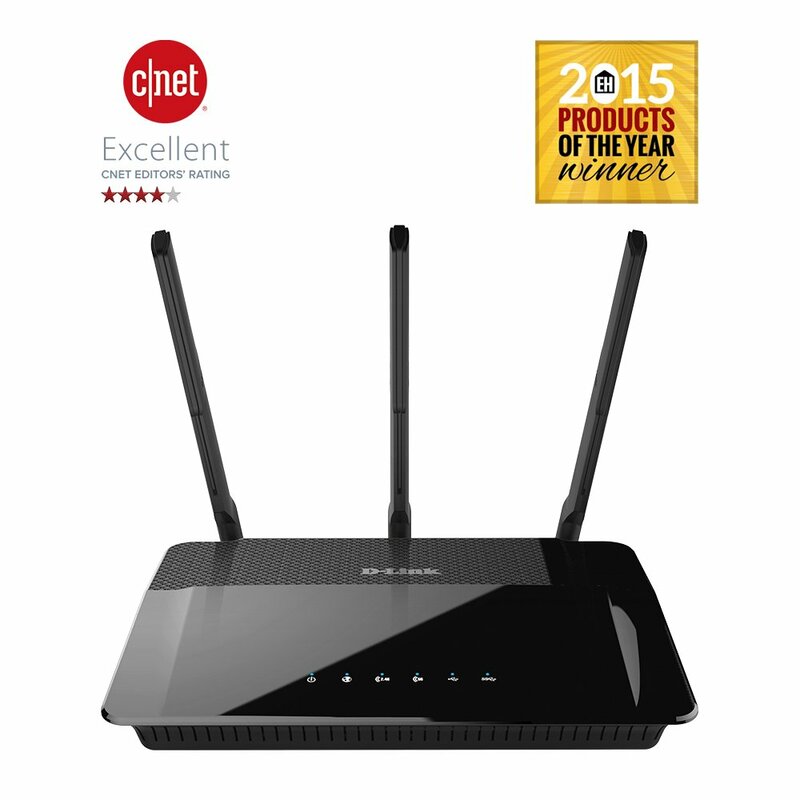 Overall, the DIR-880L is an excellent addition to the selection of high-end 802.11ac routers on the market.